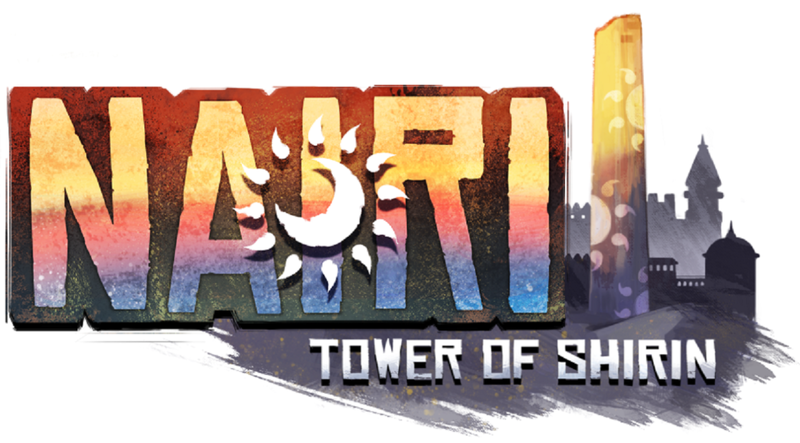 With gameplay quite reminiscent of the investigation parts from the Ace Attorney titles, NAIRI: Tower of Shirin offers a familiar feel that I tend to enjoy. What winds up bringing this game down is its pacing. Slow to start, picking up some steam, then slowing down again. This especially hurts what is largely a visual novel, one that’s shorter of narrative puzzles. A bunch of little load times also add up to make a smaller game feel stretched. Nairi, the lead, is a resourceful young girl, who is often left to her own devices in her quickly changing surroundings. She inhabits a world full of critters and interacts with many of them over the course of her adventure. The silent characters have some real charm, but the overall mystery suffers from the aforementioned tempo concerns. 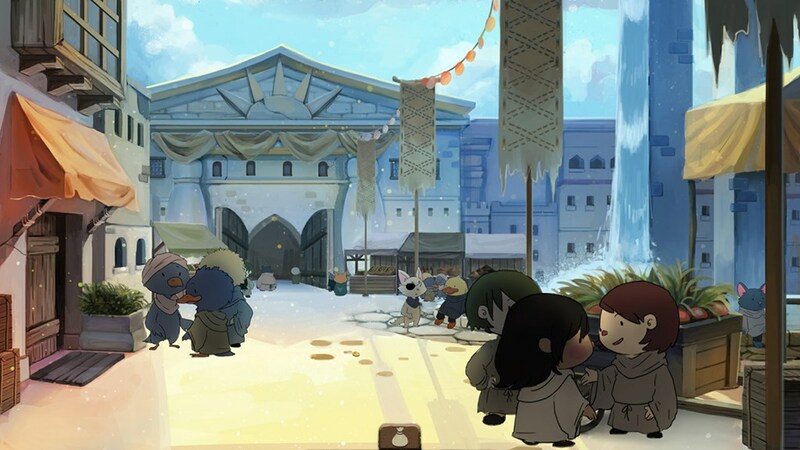 I do wish the characters had some vocals to accompany all the text, but this is a budget Kickstarter success, and the indie team at Home Bear Studio is only asking $9.99 for it. Without spoiling anything, I think the end is… unsatisfying. For a story driven game, nailing the final act is key. There’s much to process, but I suspect a sequel is being planned. Let me elaborate on the pace. 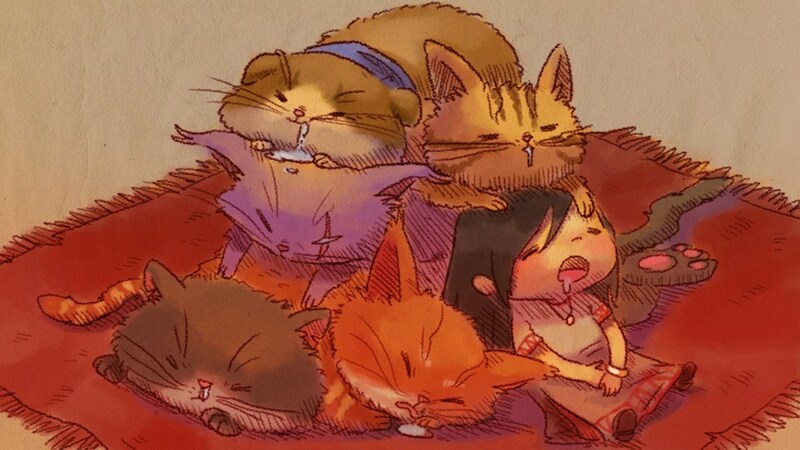 I think NAIRI: Tower of Shirin would’ve been better as a straight visual novel. I don’t think the puzzles work for “people of all ages”. Backtracking through, at times, dark scenery can get frustrating. There is a journal that gives hints, but the one time I used it I didn’t find it that helpful. So those who find backtracking annoying, take note. Now the presentation goes some ways to compensate for pacing concerns of mine. Detailed, hand-drawn art is accompanied by a very impressive and lively soundtrack. 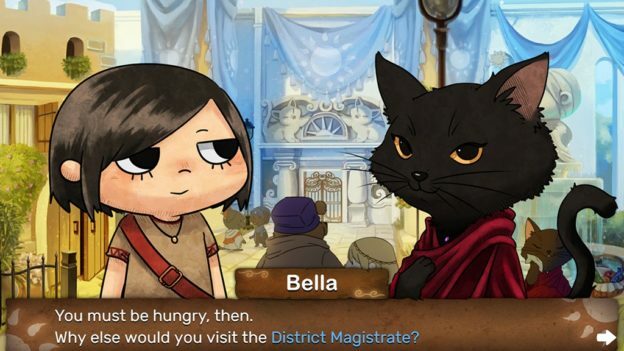 Enjoy the latter with headphones to really get immersed in Nairi’s unusual world. The tracks might be my favorite part of this game. NAIRI: Tower of Shirin is solid, but it lacks that certain something that dialogue-heavy games need. That said, there is a charm with the characters and presentation, music especially. 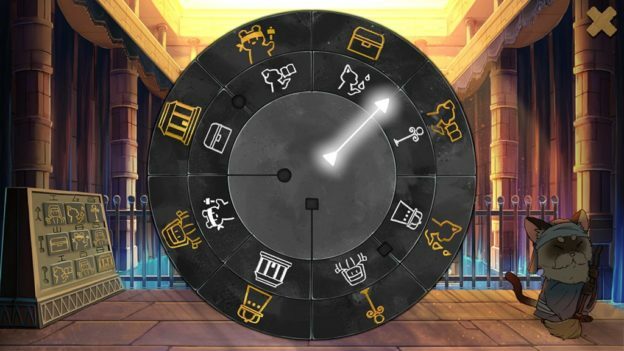 Fans of visual novels with puzzles might want to look into it further. Just beware of certain things – backtracking, the duration, pacing issues, potential puzzle frustration, and an unsatisfying story arc – when deciding if it’s worth the reasonable ten dollar cost. NAIRI: Tower of Shirin is solid, but it lacks that certain something that dialogue-heavy games need. That said there is a charm with the characters and presentation, music especially. Fans of visual novels with puzzles might want to look into it further. Just beware of certain things – backtracking, the duration, pacing issues, potential puzzle frustration, and an unsatisfying story arc – when deciding if it’s worth the reasonable ten dollar cost.